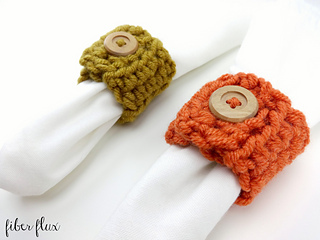 The Harvest Button Napkin Rings are an easy way to add a handmade touch to the table. 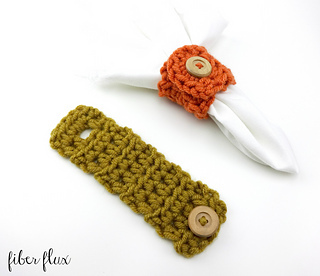 Crocheted with chunkier yarn, they are super fast and pretty to make for each place setting. 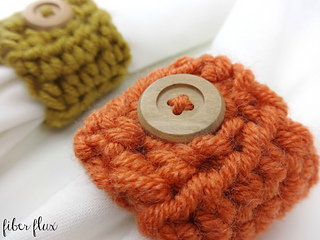 A wood button holds everything in place and adds a little texture too!